TR2-BLM-BL2 takes triangle tiles in blossom pattern, another creative mosaic tile for kitchen wall design! All is in details! 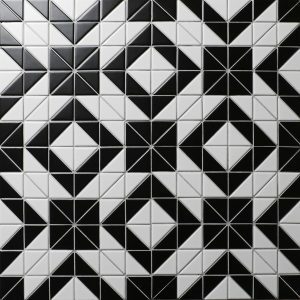 Awesome geometric wall tiles, never found in the tile market. Love it!